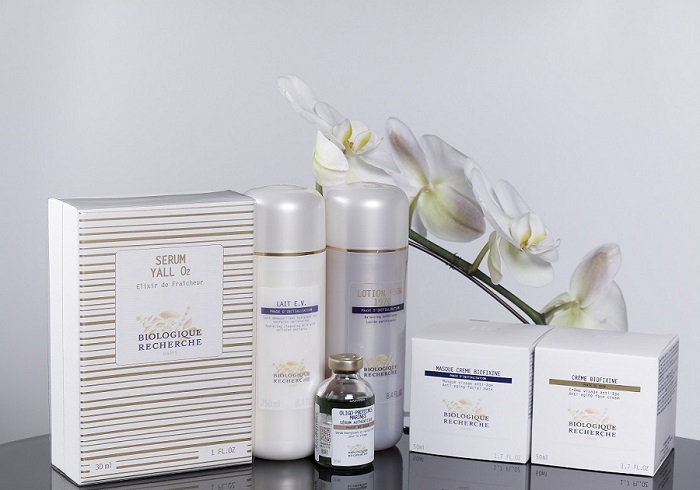 Biologique Recherche, founded by dermatologist and biochemist, Dr. Yvan Allouche more than 30 years ago, has developed powerful and visionary products and methodology to help prepare, restore and protect the skin. Dr. Allouche created Biologique Recherche original skincare products and invented the “Yoga for the Face” machine. Dr. Yvan’s wife Josette, a physiotherapist, developed osteopathic massage which moves toxins away from the skin as well as tones it. The formulas rich in botanical, marine, and biological extracts change the properties of your skin without chemicals. We use Biologique Recherche in all our treatments, and offer the full line for sale as well. Svetlana has been personally trained by Dr. Philippe Allouche. Tata Harper anti-aging and wellness products are 100 percent natural and nontoxic. They smell and feel wonderful and work wonders as well. If you seek out natural skincare that is made with truly high quality, clinical-grade natural ingredients, that have been tested to deliver anti-aging benefits then check out our Tata Harper products. Tata Harper's 12,000-acre farm in Vermont, where she grows many of the ingredients used in her organic-skin-care line. ILIA Beauty is an ethical and sustainable makeup line, in which each product is formulated with up to 85% bioactive organic ingredients to nourish and protect the skin. This niche color cosmetic line specializes in lip care, and all of their cream lip products are housed in a sleek recycled aluminum case. A combination of on trend pigments and super nourishing elements has set ILIA apart from conventional organic beauty. For 140 years, Gehwol has created therapeutic products using natural ingredients that focus on inward healing to achieve outward beauty. Gehwol hand and foot creams are simply the best for soothing rough hands and feet, and promoting soft, supple skin.